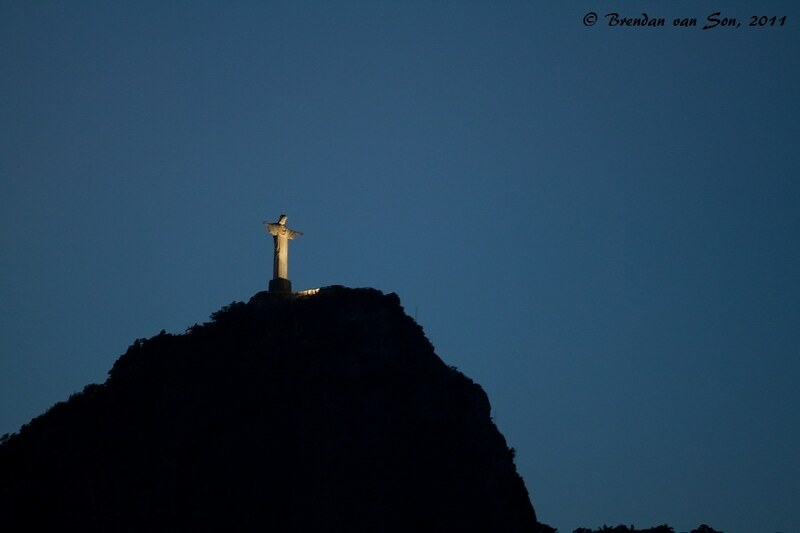 Rio de Janeiro, Brazil - Does Rio Deserve it's Bad Press? Good news travels fast, but bad news travels far and wide. In our western world we have an insatiable appetite for entertainment. It has almost become a case of where we have become an attention-deficit-disorder society. The arrival of the reality television phenomenon has evolved into an even more real phenomenon: the news. Every day people tune into the news to see what is happening in the world. We hear about mudslides, earthquakes, murders and political upheavals. In doing so, it could become quite easy to start believing that the world outside our doors is a scary dangerous place; according to the news it is. Because of our news slant towards negative news we often begin to create ideas of certain places based on the information we have been given. When it comes to Rio de Janeiro we hear of tourists robbed, mudslides, rampant violence and staggering poverty levels. In many cases it holds people back from visiting, but how much of that is true and how much is fabrication? Does Rio, and Brazil in general, deserve as much bad press as it gets? Over the years Rio de Janeiro has become a victim of the slant of negative news, and to be honest this might be the case for all of Brazil. Consistently, interviewed visitors to Rio say the exact same things. “I can’t believe how safe it is” “I was told about how dangerous it is” and “this is not at all what I expected, I expected to always have to be on my guard.” But where does this shock come from? You see, when it comes to Rio people love telling stories about the dangerous gang life, the drug wars, and the plight of the favelas; those scenarios have all the great makings for Hollywood movies. One girl I talked to before getting to Rio said about Copacabana beach “don’t people just come down from the favelas every now and then in huge groups and rob everyone?” Statements like that bring me to my next point. The simple nature of living in poverty does not make you a criminal. 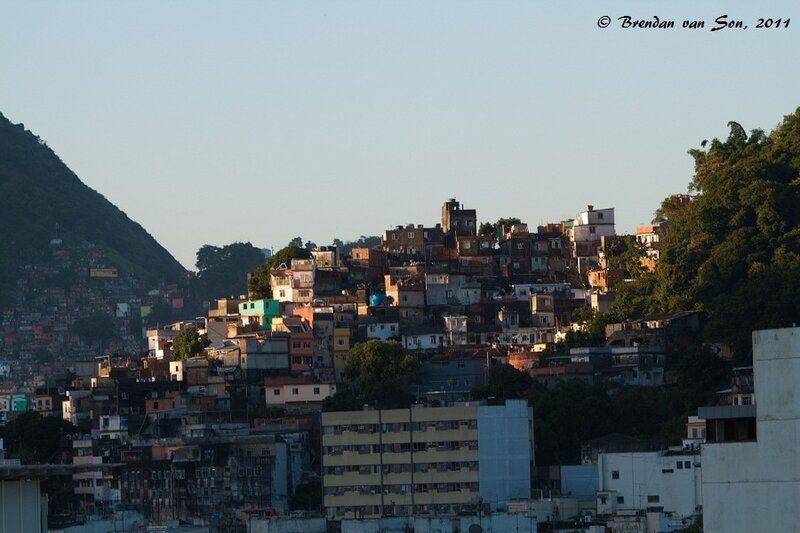 And it is true that there are high levels of criminal activity which exist in some of the favelas in Rio de Janeiro, however the vast majority are hard working people who work normal jobs on normal schedules. Yes, it is true that people in poverty situations may be more likely to turn to the illegal trade to survive, but being poor does not immediately mean that one is more likely to be a thief, drug dealer or murderer. For some reason, in western culture, we romanticize poverty to the point that it almost seems to be an exciting way to live; it’s simply a glorification of a type of lifestyle that simply doesn’t exist to a great extent in our society. It’s almost like there is a “the grass is greener on the other side” effect going on, but in reverse. I have a feeling that we have become so desensitized to the excitement of our everyday lives that we secretly hope that some news will happen in our lives, even if it is bad news. How exciting would it be to have an earthquake rip through my city, and I would have to find some plane to escape on like in 2012 or to have aliens attack so I have to pick up a fighter jet and storm off like Will Smith in Independence Day? It really does sound exciting doesn’t it? An optimist may say that our love of negative news simply serves as a reminder to us that we live in a part of the world that is safe, and that we should be thankful for that. But it seems strange to me that we revel at the pain and tragedy of others while we shake our heads and say “oh my, isn’t that terrible.” But if we really care so much about the problem, why do we rarely do anything about it? Regardless of the reasons in which we are drawn to negative press we can’t, as a society, allow ourselves to be swayed about a world that we see through the television set or read through the words of newspapers. Instead, we have to step outside our own front doors and set foot in the world that we know so little about. There is nothing quite like the ability to learn hands-on. And there is no greater teacher in the world than the world itself. The western reaction to when Rio was announced as the host of the Olympic Games and the World Cup was to think that safety would be an issue. Negativity in, all aspects, can only draw a society down. I do not blame the news networks for focusing on the negatives of our world; it is, after all, a supply and demand industry. 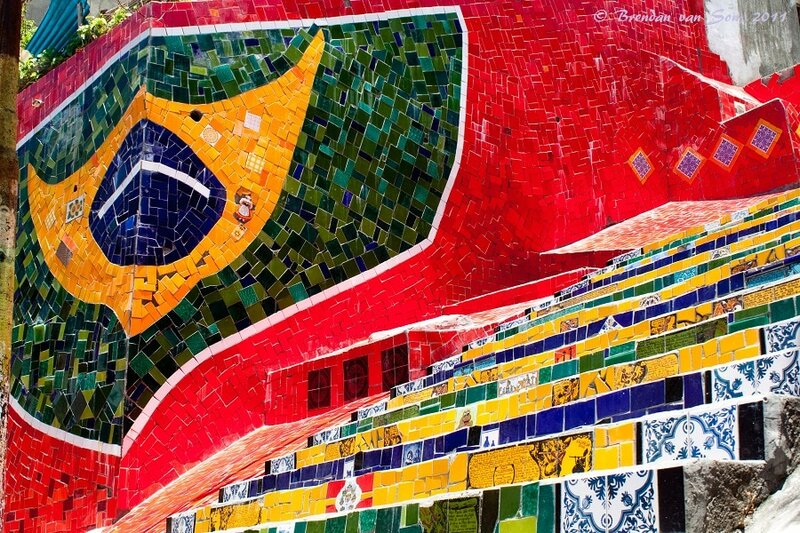 Luckily for Rio de Janeiro, this great city has a chance during these global sporting events to show the world the character and charm it really exudes. It has a chance to allow the world to fall in love with it, and I’m sure it will. I never once felt unsafe in Rio and I traveled solo throughout the entire city including the favelas. The media makes me so angry! I think we in the West demonise developing countries to detract from the horrors of our own crime statistics. And the inability to explain why, when in countries where many folk live below the poverty line and close to starvation, we’re not mugging each other for TVs. I’m not sure the majority of us romanticise poverty per se, though it’s easy to find plenty of people who’ll romanticise a peasant lifestyle, just as Rousseau did over 200 years ago — for its simplicity. Love the reply Theodora, you make some great points for sure! Thanks for informing us that the city is safe. I have heard so many negatives from the news that it makes one wonder. I always take the media with a grain of salt, so it is good to hear what the city is really like. Chicago gets a lot of the same negative coverage. The south and west sides are poor and dominated by gangs and safety is an issue. The rest of the city is completely safe, yet many people fear coming here because they here the media reports about all the violence. I am guilty of believing the danger hype around Rio, Sao Paulo and Brasil in general. I am also ashamed that I believed. I found it to be a wonderful place and count Rio as one of the most beautiful cities in the world. Sao Paulo was a wonderful city with plenty to explore. I hope to return one day and do the country justice. Until then I give the message that Brasil was as safe as anywhere else that I traveled. Great post Brendan! Cheers! My dad should totally read this article. As much as he’s well-traveled himself (he’s a diplomat), he hasn’t ventured into “dangerous” places before; his travel experience was just within North America, Europe, and Japan. So in 2006, when I announced that I wanted to visit South America, he got all worried that I might be kidnapped. Part of me visited Ecuador in 2007 just to spite him, I thought that if I can spend a week in Quito and not get kidnapped, I’ll go to Peru the next year. That obviously happened, and with no bad experiences! This past January I spent a little time in Mexico City, and that was fine too. So now I guess he has enough proof that even if I tell him I might be going to Guatemala next, he doesn’t show his apprehension to me anymore. haha… I remember my mom telling her friends when I left for my solo trip of Central America when I was 21 that I was going to “Central America, where the favourite pastime of locals is kidnapping foreigners.” You should definitely go to Guatemala, to this day it falls in the category of my top 5 favourite countries. Wonderfully written Brendan. You brought your point to light with such eloquence, almost poetic. We don’t normally follow the news and believe in a place’s safety based on what they have to say, but I know that we are not the norm. When you don’t see it for yourself and only have your local news as the only source of information, it is easy to fall for the propaganda. That is why Blogging and the Internet is becoming so important in our opinion. Sites like yours are shattering the myths around the world. Thanks for the nice words guys. I follow the news to death, as a former political scientist I feel it my duty to stay on top of the world affairs. However, I was taught in my studies to see something and begin disecting and questioning it, that’s what I do. The news is portraid, these days, in a way to bring in viewers, not to report facts. If the news were just boring facts, no one would care. I understand they have to SELL the news, I just wish more people could take it at face value and with a grain of salt. Brendan, I totally agree that westerners exaggerate the dangers in other countries to feel better about their own. Look at the statistics, the United States is in the top 5 when it comes to world-wide murder rate. It’s ridiculous. I spent one month in Rio and 4 in Guatemala. Both are very high on my list Guatemala being higher. Both are safe if you know how to handle yourself, but, lets not give either the definition of “safe”. They are not. Depending what a person is getting into and where they go, they can be safer but both Rio and Guatemala City are very dangerous. Not to kidnapped more than to be mugged. I would also like to say that Bedstuy Brooklyn and South Central LA make both these cities look very safe. If you get mugged in south America its more likely at knife point by 40 kids whereas in SCLA or BStuy its at gunpoint and very often ends in violence. Not so there. They ask for your wallet you give it and in my experience in G City. The mugger thanked me. In BStuy I was pistol whipped and knocked out and woke up in a hospital with a bad concussion, all for 14 dollars. You’re right… there is a difference in the violence level. Here they just want your stuff, they don’t care to beat you down after. I’m Brazilian and just really happy people like you can help travellers discover the good things about our gorgeous country. I thank you on behalf of my country! Get in touch and let me know if I can help with anything! I haven’t been to Rio, but I was just in Mexico and you would think my friends and family thought I was going to war. The media has done its damage on Mexico as well. The reality is, our hometowns have areas that are “unsafe” just like anywhere else in the world. Well… to be honest, my hometown has no where unsafe. I think you’re about as likely to play frisbee with a bear as you are to get robbed where I come from. Hahaha… but, I agree.,.. Mexico is getting TRASHED right now. Some of my family members don’t want me to head that way… haha, try and stop me! Nice Lainie! When do you get to Brazil? I just crossed into Paraguay, but I’m heading up to Salvador for Carnival, and then farther north. I’m Brazilian and I gotta say you’re throwing it too far to the other end of the spectrum, Brendan. You’re making it seem as if anyone can just stroll through Rio wearing a Rolex at midnight without any worries (that’s what happens in “safe” cities: Stockholm, Copenhagen etc.) and that’s absolutely not the case. Rio isn’t as bad as the news portray, true, but safe it isn’t either. The city used to be really dangerous some time ago and that reputation, which still stands, will change slower than the city changes, as is the way things go. Us Brazilians are indeed skeptical of that change because crime can’t go down without poverty going down too and traditionally our politicians don’t exactly give a darn about helping poor people, which is fortunately changing though very slowly. And this goes for all of Brazil. Some might say I’m a pessimist, though not the French girl who was robbed at gun point nor the Englishman who was mugged twice and threatened with knives. Actually my family wouldn’t think me pessimistic either since we’ve had 4 kidnappings, 1 hijacking and numerous thefts of shoes, contents of houses and wallets happen to us. It’s sensible to say that Brazil is “safer” than it used to be though tourists should still take certain precautions like not wear jewelry etc. but to say that it’s plain “safe” is looking for trouble. very good points Ana, thanks for pitching in. Just for the record, I never meant to throw this out like Rio was the safest place in the world. My goal of the article was to explain to people the bias we in the western world have in glorifying the strife people live in in so called “developing countries.” I agree with you, it’s still not 100%, and probably never will be. My point is that the thought of many tourists is that simply visiting Rio will mean they will be robbed or kidnapped, when that is not the case. And with simple precautions it can be a safe place for anyone. Here’s to hoping the progress continues in the right direction. I have visited Rio three times. Every time I went there, people would scare me by saying “but now its worse”. So my first and second day were always full of precaution and safe pre-planned trips to tourist areas. And being a Los Angeles native, I have to admit that by the fourth day, I feel safer at night in the South Side of Rio than in downtown L.A. So Rio does suffer from an incredible bad rap, and I have a feeling its authorities do very little or next to nothing in terms of projecting a different image of Rio. Which is too bad, because Rio de Janeiro is by far, one of the most beautiful cities in the world.